With the PS Vita in full swing, the ship has all but sailed for Sony's first handheld. The PSP was a powerful device with a game library that didn't quite live up to it's lofty expectations. That's not to say that the PSP didn't have any great games, though. If you're still jamming on your old handheld, here's a list of games that'll keep you busy while you're waiting to sell your kidney for a Vita. Ever wonder why Kratos is so damn angry? A look into his early years of servitude to the gods help shed some light. 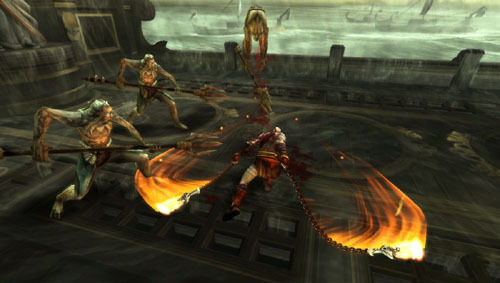 This awesome prequel to the original God of War proved Krato's colossal thirst for vengeance could be quenced on the small screen. The amazing graphics push the PSP to the limit and the visceral combat is nearly indistinguishable from the core titles. Like it's console big brothers, Chains of Olympus is as violent as can be, but is also notable for having one of the most emotional, and heart-wrenching moments of the entire series. Kingdom Hearts began on consoles, but has produced more handheld entries than anything else and Birth By Sleep is the best of them all. 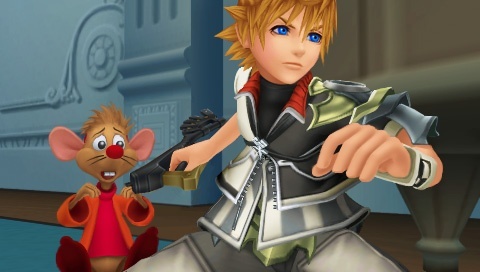 Set ten years before the first Kingdom Hearts, you’ll tackle three separate campaigns as BFF's Terra, Aqua, and Ventus take their Mark of Mastery exam to become full fledged keyblade masters. Many of the series' long-standing questions are answered and you'll see the exciting origins of several key characters. 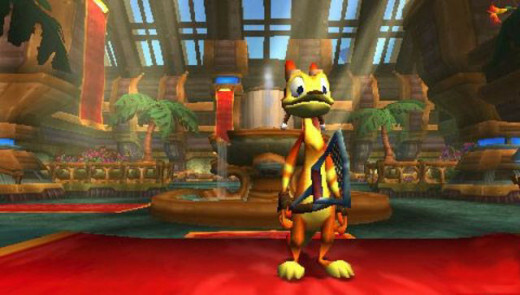 The combat system is the best of the series with a huge variety of stylish combo and magic attacks plus the aid of multiple characters including Stitch, the seven dwarfs, Zack Fair. Best of all, Birthy By Sleep effectively sets the premise for the long-awaited Kingdom Hearts III. 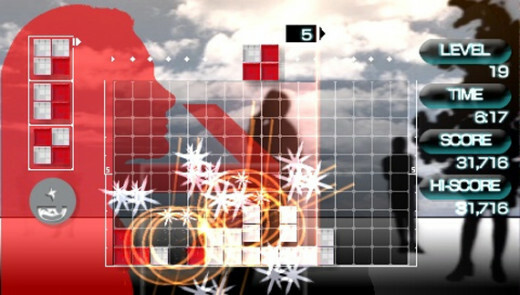 If I had to attribute the early success of the PSP to one game, it'd be Lumines. The frantic and incredibly additive drop-block puzzler practically glued my hands to the PSP, locking me in trances that only Tetris had managed before. Frequently changing music and skins keep the action fresh as also also serve as a nifty distraction to throw you off focus. Lumines II takes things a step further, featuring entire music videos, letting you grind your brain to the sights and sounds of popular hits like Holla Back Girl. Final Fantasy Tactics is one of the greatest strategy games on the Playstation and this enhanced port gives veterans plenty of reason to return as well as newcomers a chance to see what the fuss is about. Featuring all-new jobs, battlefields, and beautifully animated cutscenes, War of the Lions is the best version of the game to date. Be warned though: This is NOT an easy game and if you're not even remotely interested in strategy games, pass this one by. Still, Final Fantasy Tactics is a masterpiece of tactical gameplay with one hell of a great story to boot. Another fantastic launch title, Twisted Metal: Head-On took the over-the-top mayhem I loved about the series and put it in my pocket. 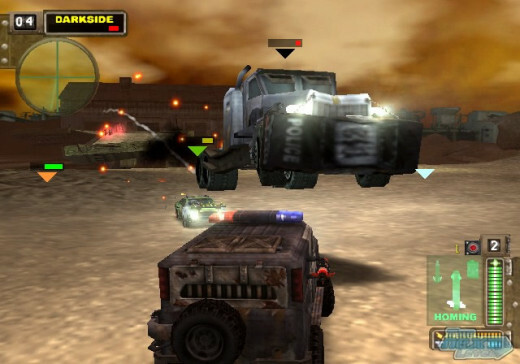 While I enjoyed the darker direction of Twisted Metal: Black, Head-On was a nice return to the more wacky and colorful style of Twisted Metal 2 and plays even better. Head-On was also the first (and mostly only) game I played using the PSP's online for some sweet multiplayer matches. Head-On may be pushing six years old, but I still pop this baby in when I’m itching for vehicular carnage on the go. Jeanne D'Arc is a game that educates as well as entertains. An adaptation of the story of French heroine Joan of Arc, it taught me that in addition to leading France to victory during the Hundred Years War, she also wielded magic and could transform into an all-powerful, mystical super knight. 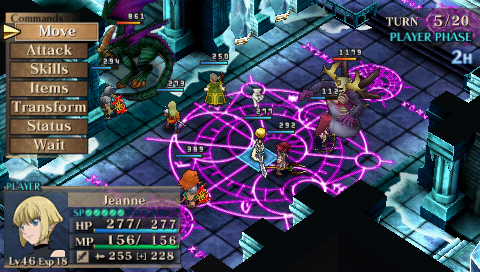 Jeanne D'Arc is one of the more overlooked games in the PSP catalog, which is a since it boasts some solid action and storytelling that both strategy fans and Rhodes Scholars (such as myself, obviously) will love. I adore Ratchet & Clank. It's one most consistently awesome franchises of all time and that impressive pedigree shines even on a smaller platform. 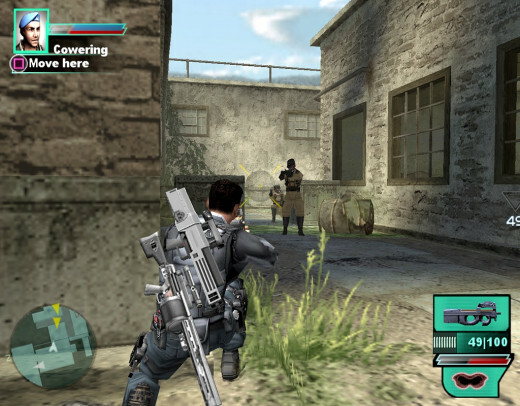 The gun-centric action of the console games remains intact, with a large selection of fully upgradable weapons and armor. The series' signature humor is in full force, providing some big laughs on the small screen. On a device with very few notable platformers or shooters, Size Matters is a no-brainer. One of the PSP's early darlings, LocoRoco task players with leading a blob called a LocoRoco through levels to find other LocoRocos. You don't control the Loco directly, but rather the world itself. Tilting the world sends Locos rolling in that direction, along with other objects. Eating berries cause your Loco to grow several times larger, which can then be split into several individual LocoRocos to navigate areas and pass obstacles. 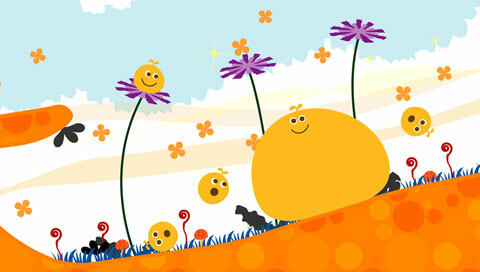 LocoRoco pratically oozes charm with it's whimsical presentation and adorable characters. 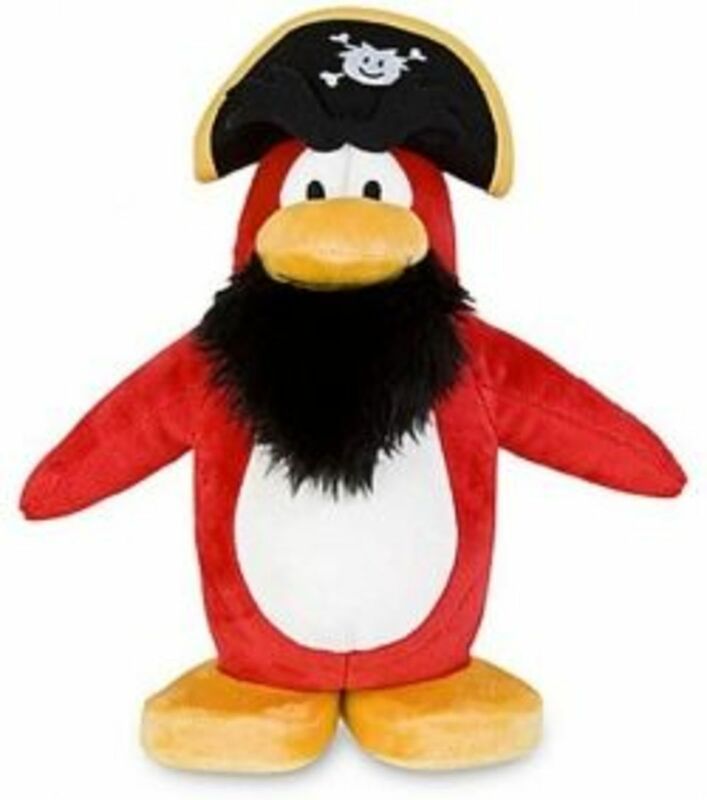 It's smart and approachable design ensures players of all sorts will have a blast with it. Syphon Filter gets a ton of credit for being the first competent shooter series on the PSP. The smartly mapped controls work around the lack of a second analog stick to provide the most intuitive shooter controls on the device to date. On top of that is a nice espionage adventure with a decent story (even if Gabe Logan has the personality of petrified wood) Dark Mirror's sequel, Logan's Shadow, is worth a look at as well. Jak's loud-mouthed buddy's first solo outing proves that the little critter can shine outside the shadow of his larger half. 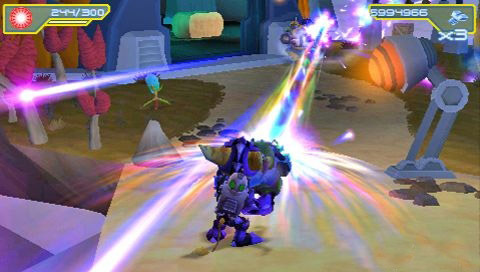 Taking on the job of an exterminator, Daxter's new gig gives him an bug tank and gun that can be modified into, among other things, a flamethrower, jetpack, and ultrasonic device. Gameplay is as tight as a glove and is probably the best pure plaforming experience on the PSP. As great as everything else is, the highlight are the hilarious dream sequences, where a slumbering Daxter is thrust into famous movie scenes such as Indiana Jones and The Matrix. A downloadable-only title, Corpse Party has one of the coolest premise of any game listed. Playing like an old, campy horror movie, you control school children with a facination for the occult, who become trapped in a haunted mansion. Like every horror movie ever, you'll watch your classmates get picked off one by one and the scares are surprisingly effective. The unintentionally hilarious dialogue tempers the intensity with a nice dose of camp. 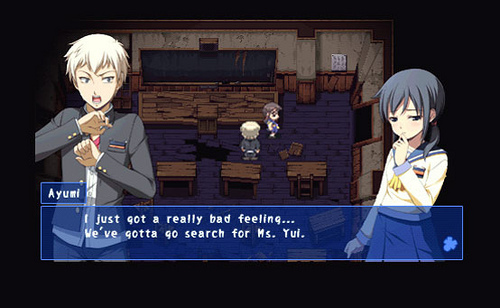 Corpse Party looks like a 16-bit JRPG, but is actually an adventure game. You explore the mansion, uncovering it's secrets with some light puzzle-solving. Depending on your actions and who's alive by the end determines one of nearly a dozen different conclusions. It’s not perfect, but Corpse Party’s originality makes up for its shortcomings and earns it a spot on the list. 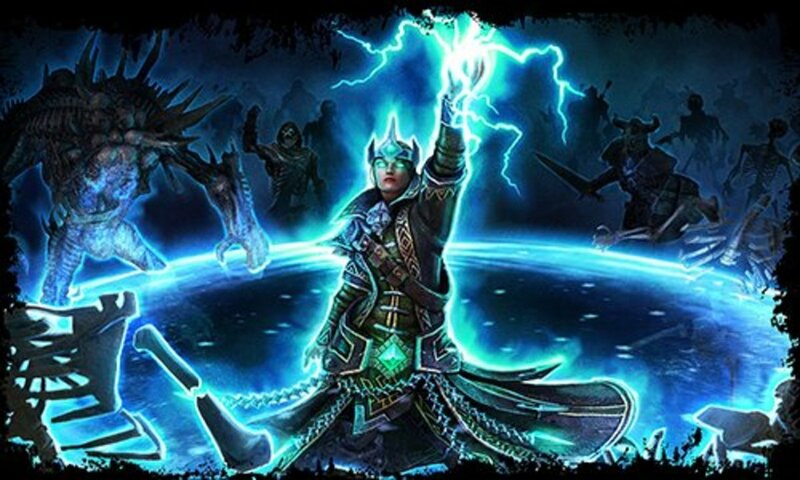 Strategy games tend to be serious affairs with epic, world-saving plots. 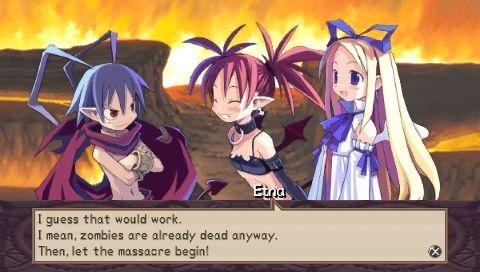 Disgaea's absurd cast and writing make it the most enjoyable games of the genre. With characters like Laharl, the adorable Prinnies, the dim-witted Captain Gordon and the wacky enemies like Mid-Boss and the Prism Rangers, I don’t think I’ve ever laughed this much playing a strategy game. Underneath all that zaniness is a surprisingly moving and heartfelt story. Disgaea is one of the more newcomer-friendly strategy games with a smooth learning curve and difficulty rises at a nice, steady pace. Content like the super-deep item world and a special Etna mode, which allows you to play through an amusing “what if” story where Laharl dies in the beginning and Etna takes control, add dozens of hours to the already packed experience. If you missed the original PS2 release, don't miss this enhanced version. The Metal Gear timeline is long and involved, but one glaring hole was the period Big Boss spent building his military state Outer Haven. 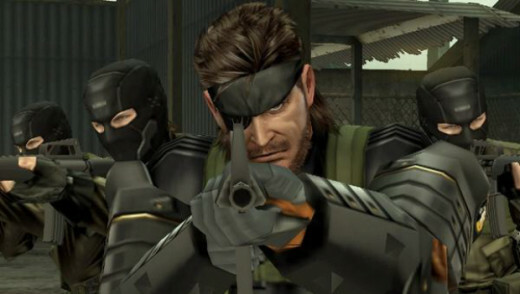 Peace Walker takes players through the final period of the Big Boss that saved the world in Snake Eater, and laying the foundation for the Big Boss that would become the villain of the first two Metal Gear games. Soldier recruitment is one of the backbones of Peace Walker. Enemies can be recruited anytime, anywhere making for a much smoother experience than recruitment in MGS: Portable Ops (also worth a look). While the series stealth gameplay has always pleased, most of my fun came off of the battlefield. Building Outer Haven is deep, addictive, and very satisfying. You'll manage and mprove your squad by sending them on various missions, capture vehicles such as tanks and helicopters, research new weapons, and even obtain parts to create your own Metal Gear. 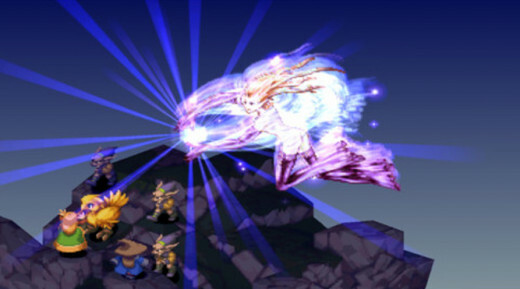 Missions can be taken on alone or with a friend in a slick co-op mode. While the story isn't as strong as the other Metal Gear games, series enthusiasts cannot miss Peace Walker. Valkyria Chronicles is an under-appreciated gem of the PS3 library and it's sequel deserves the attention it's big brother never got. Blending real-time strategy with a third-person shooter sounds odd, but works perfectly. While infantry are managed on the map, you're put right in the boots of your soldiers. 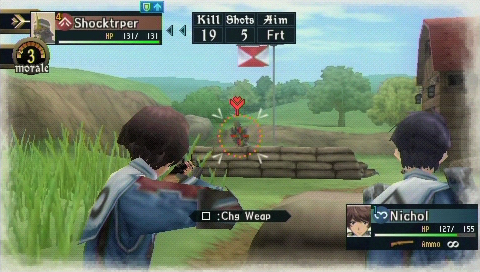 Maneuvering for position, taking cover, all while lining up head shots make Valkyria Chronicles a much more involving affair than most strategy games. 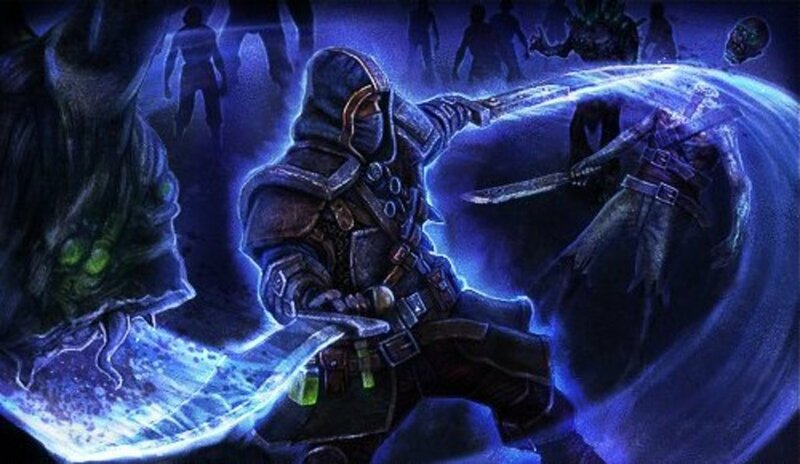 A nice selection of classes lets you shape your squad to face any encounter. Thanks to the distinct watercolor art style, war has never looked this good. Oh yes. Final Fantasy IV would be worth the price of admission alone, but why stop there? 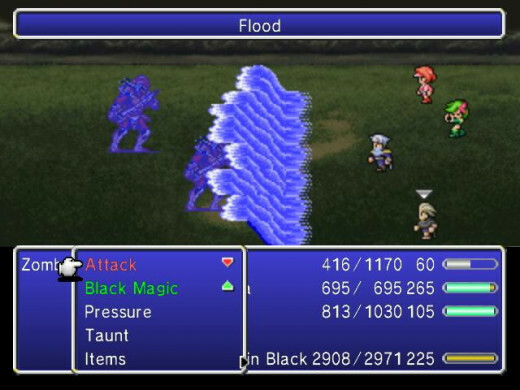 Not only do you get an enhanced port of one of the greatest RPG's of all time, you also get it's sequel, Final Fantasy IV: The After Years (pictured above), formally a Wiiware exclusive. This is one of the best bundles out there and must-buy for JRPG fanatics. Another great example of a quality handheld shooter. 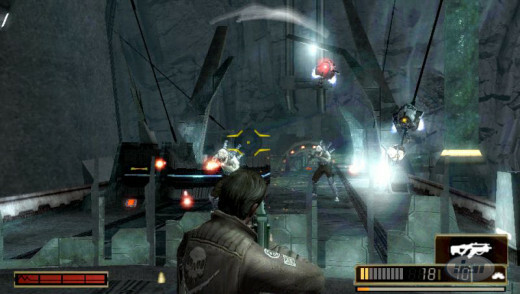 Resistance Retribution forgoes the first-person action of the console games, opting for a third-person perspective. Set firmly between the events of the first two Resistance games, Lieutenant James Grayson battles the invading Chimera, wielding more personality than Nathan Hale and Joseph Capelli combined. Retribution plays like a dream, making me wish for an alternate series exclusively in third-person. The coolest feature is Infection mode that lets you link this game with Resistance 2 to receive an alternate story and history. 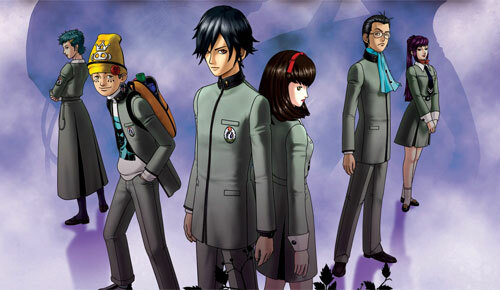 Missed out on Atlus' bizarre RPG series of school children and demons? Well here's your chance to get in on all the twisted fun. The first three entries have all recieved enhanced remakes for Sony's handheld. Most notably of these is Persona 2: Innocent Sin, which had never been released in the U.S. prior to PSP version. Best of all, thanks to a recent Atlus promotion, all three are available for just $19.99. 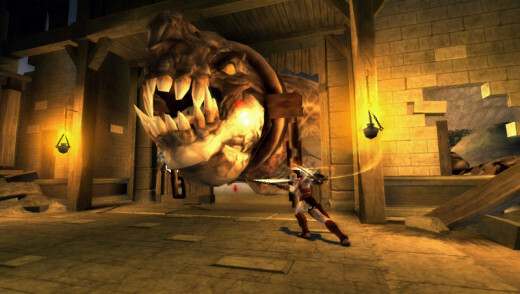 The PSP has become the defacto home for the strategy genre, and very few franchises do it better than Tactics Ogre. 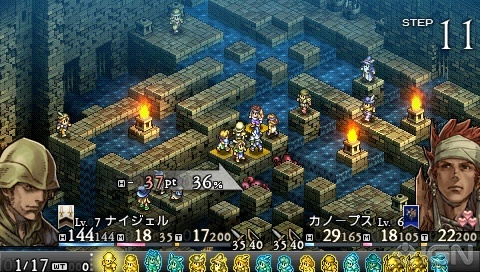 A remake of the original Playstation title (and precursor to Final Fantasy Tactics), Tactics Ogre boast all the deep and intuitive action of turn based strategy without the old headaches. Tedious grinding has been largely removed and replacing fallen comrades is a much easier process than in the original version. Like Final Fantasy Tactics, this complex title requires a lot of work and patience to enjoy it's brilliance, but devoted gamers will be rewarded with one of the richest strategy games of all time. Chains of Olympus set the bar what could be accomplished on the PSP, but Ghost of Sparta improves on it in nearly every way. Set between the events of God of War I and II, Kratos embarks on a more personal tale as he the fate of his long lost brother Deimos, a plot thread teased since the original God of War. Ghost of Sparta's epic story, superb gameplay, enormous boss battles, and stunning visuals helps it transcend the phrase “Great, for a handheld game". It more than holds it's own against its console brethren, and sports more polish than most big budget games. For a truly extraordinary handheld experience, they really don't get much better than this. That's all for me. Any titles that you'd like to recommend or comment on? Wow what a great compilation of games you have here! The Kingdom Hearts and Final Fantasy games strike home with me more than the others but every one of the games here makes me want to have a Vita. I was sceptical about the system before reading this but now you have made me want to own one. Great article! Voted up. Awesome.